The 40-year-old North Carolinian explained how “Numbers” piqued his interest the first time he heard it. “Numbers” was officially released in March 2011 as the title track from his third album. The album, which reached #33 on the U.S. Billboard Country Albums chart, was sold exclusively through Cracker Barrel stores. 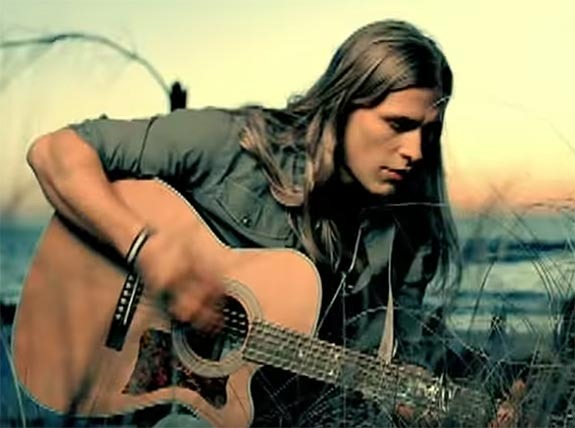 Interestingly, Carroll got his start singing in public while working as a server at a Cracker Barrel in Henderson, N.C.
Born in Youngsville, N.C., in 1978, Carroll got his first big break as a 26 year old when he won the “Gimme the Mic” singing competition sponsored by local TV station WRAZ FOX 50. Two years later, in 2006, he scored a record deal with Arista Nashville.